The largest pump service organization in the upper Midwest. EPI Environmental has been created as an Electric Pump Incorporated subsidiary to market municipal process equipment. Electric pump has been serving the Midwest industrial and municipal customers for over 50 years. 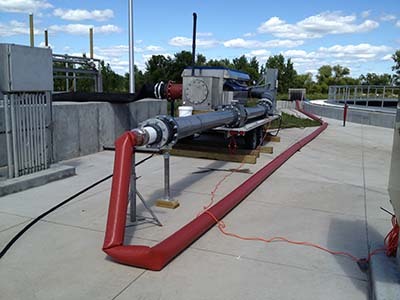 We have more than 15 years of experience sizing lagoon and activated sludge aeration systems. We have built a reputation for representing the best equipment in today’s water treatment world. We are known as a full-service partner that brings knowledge to the initial design phase, through installation, start up, and long-term support. Unlike traditional companies that either specialize in fluid handling or treatment process technologies, EPI integrates this approach to work with engineers and owners to provide the most cost-effective solution for their fluid transport and treatment objectives. This allows EPI to achieve what other firms cannot obtain – the trust of being able to service the products being sold to the end user, while being credible and respected by the consulting engineers to influence the design and procurement of critical process and fluid handling equipment. We have a fully integrated approach from initial design planning, installation, start up, and long-term service and support. We deliver more than 50 years of experience to water/wastewater treatment solutions. We house the largest inventory of pumps and equipment in the Midwest. We understand that process systems are critical and downtime is unacceptable at any time. We have intimate knowledge about the products we sell and how they impact your systems. Service is a priority. We have committed more resources to service our customers than any other similar company in the seven-state, upper Midwest region. We are committed to long-term support and service. You have our commitment and assurance that we are there for you – whenever, and wherever you need us.